Blog / 2015 / 10 / 2015 Vissla ISA Wolrd Junior Surfing Championship is LIVE! October 11, 2015 2015 Vissla ISA Wolrd Junior Surfing Championship is LIVE! View scenes from the Opening Ceremony. View scenes from Day 1 of the contest. Enter 7 Days of 7 Seas Wetsuits Sweepstakes. The 2015 VISSLA International Surfing Association (ISA) World Junior Surfing Championship showcases the best young surfers from around the world. 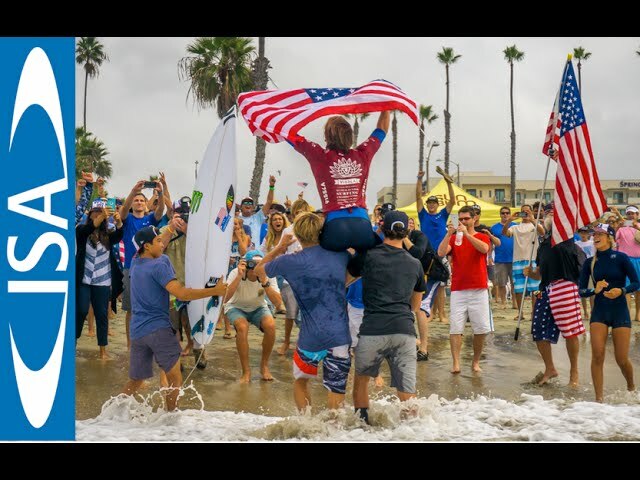 Happening October 11-18 in Oceanside, California, this World Championship will crown Gold Medalists in four individual divisions- Under-18 Boys, Under-16 Boys, Under-18 Girls, Under-16 Girls- as well as in two team divisions for an Aloha Cup and overall Champion. Since the first ISA World Junior event in 1980 launched the career of Tom Curren, this event has been recognized as the ultimate breeding grounds for the world’s next wave of premier surfers. The ISA World Junior event has crowned the likes of current WSL World Champion Gabriel Medina, Julian Wilson, Jordy Smith, Alejo Muniz, Filipe Toledo, Owen Wright, Stephanie Gilmore, Sally Fitzgibbons, Laura Enever, and Tyler Wright. Be sure to tune in live as we'll be giving away a wetsuit a day by entering our 7 Days of 7 Seas Wetsuits sweepstakes (starting October 12th).